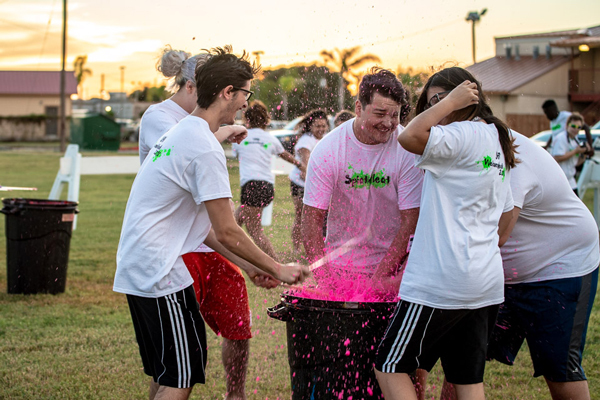 Ezequiel Lopez, center, a UHV freshman from Manvel, participates with other students Aug. 31 in the university’s annual Splatterbeat event as part of the closing of the UHV Welcome Week activities. This year is Alexis Wallace’s third time experiencing the University of Houston-Victoria’s Welcome Week activities, and now that she’s helping at the events, she enjoys it just as much as the first time. Wallace, a business management major, was one of 140 students who took part in the university’s Splatterbeat event at the residence halls to wrap up the first week of classes at UHV. Every year, the university offers a wide range of activities and information sessions to help students prepare for and start the semester. The weekend before classes began, incoming freshmen and transfer students took part in Jaguar Journey. New students moved into the residence halls on Thursday, Aug. 23, and Jaguar Journey took place from the following Friday to Sunday. Students participated in activities designed to introduce them to their fellow students and UHV. This year, 288 students attended Jaguar Journey. During Jaguar Journey, students were divided into teams. Each team made a team poster and went through all the weekend activities together, including outdoor games such as capture the flag and the human pyramid. Students also attended workshops about services that are available on campus and took a campus tour to find their class locations. They also took a trip to the YMCA to play dodgeball and swim in the pool. At night, there were activities in the residence halls including a casino night with karaoke, and a performance by the comedian JR Brow. At the end of Jaguar Journey, students attended a closing ceremony, where the results of several Jaguar Journey challenges were announced. For Lopez, Jaguar Journey events helped him get in touch with other new students and make some new friends. Welcome Week began Monday morning with a welcome station at the UHV shuttle drop-off a the UHV University Center building. During the first week of classes, several events hosted by multiple departments were held to help students start the year on a positive note and learn about services available at UHV. 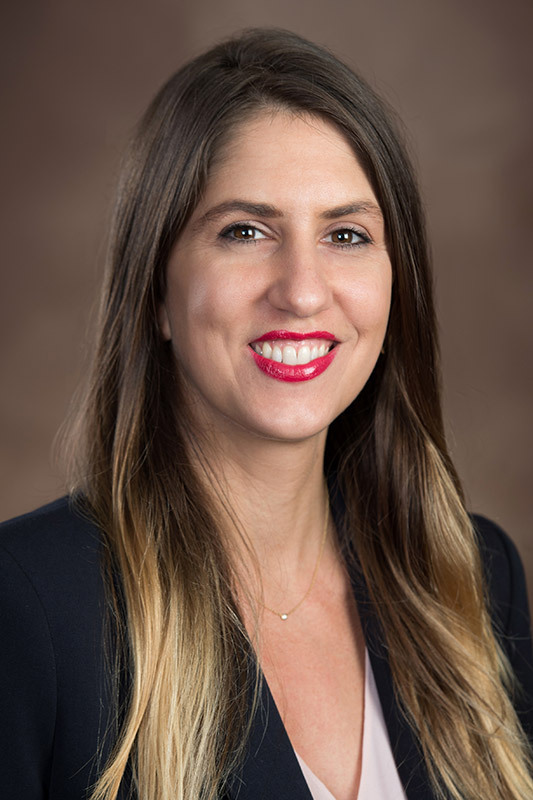 Events were hosted by the Student Government Association, the Counseling Center, Student Life, Admissions and Recruitment, Financial Aid, Residence Life , Career Services, the Victoria College/UHV Library, International Programs and the Student Success Center. In addition, students were able to attend nightly activities including a movie night, grocery bingo, and Splatterbeat with DJ Russel.